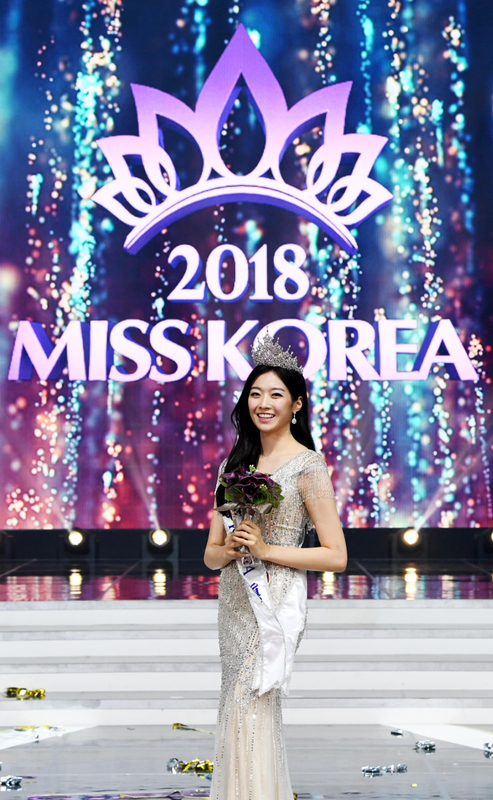 Kim Soo-min, 23, was crowned winner of Miss Korea 2018 in the final round of the annual beauty pageant in Seoul on Wednesday. Representing Gyeonggi Province, Kim studied international business at Dickinson College. With her eyes set on becoming an international journalist, Kim said her hobbies include dancing, singing and impersonating voices. 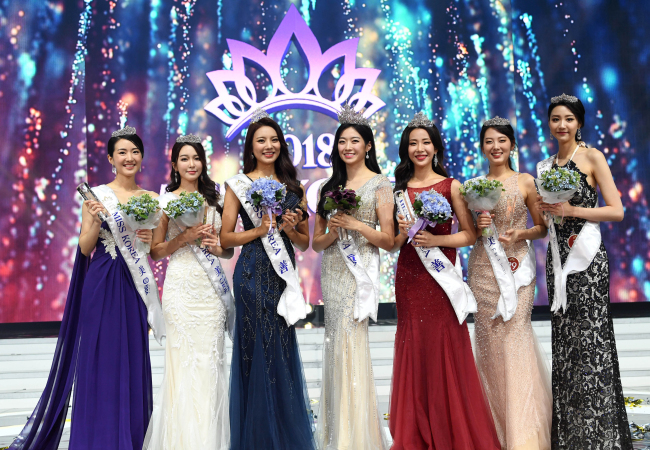 This year’s 62nd Miss Korea pageant was held Wednesday night at the Olympic Hall in Sonpa-gu, southeastern Seoul, with 32 contestants competing in the final round. “I did not expect to be named winner today. Thank you so much for the big prize. I have so many things that I want to do. I promise to live up to its title,” she said, as last year’s winner Seo Jae-won presented her with the crown. Seo Ye-jin, 20, from Seoul, was the first runner-up and Song Su-hyun, 25, from Daegu, the second runner-up.